Planning a business event like an open house can be intimidating if you’re not a corporate event planner. 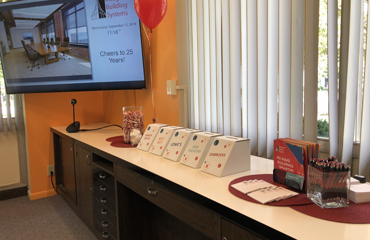 Like any other party or big event, an open house takes a lot of work, but it can help you build your brand, broaden your reach and gradually impact your bottom line. show off your facility, what you do and how well you do it. say “thank you” to customers and prospects. introduce new management or owners. celebrate a business milestone, such as number of years in business or a retirement. The goal of an open house is to provide a friendly, fun atmosphere where people can get to know you and your business. You may even finish the day with a few new referrals or customers! This blog will provide a few event planning tips that can increase your odds for a successful open house. Tip #1 Consider the “why” of your event. Before you do anything, determine why you’re hosting an event. Is the goal to sign up members or customers? Gain new clients? Determining a goal can be useful later in evaluating the success of your event. Tip #2 Plan early and reserve your event space ASAP. Give yourself two months or longer if you can, especially if you’re hosting your event off-site. If you’re hosting your event at your business, be sure your facility is clean, decorated and party-ready! Set a budget to establish how much you want to spend on the event. Place signage in front of your business on the sidewalk/street and in your windows weeks ahead of time to notify those who pass by. Ask a coworker or two to help with planning and set-up on event day. Tip #3 Prepare an invitation and get a list ready. Create an invitation and ask for RSVPs. Assign someone to track responses, send out follow up emails and reconfirm a couple of days before the event to boost attendance. Your list should include clients, friends, family, potential customers and other business associates. Go through your LinkedIn and business card contacts, too. It’s a good idea to host a welcome table so you can record who attended and provide name tags and door prize tickets. Balloons, banners, special signs and photos are always good choices for open house decorations. Consider renting some colored linens and purchasing or renting seasonal foliage or flowers for extra color. Have a few door prizes and a take home item for everyone. Display photos and memorabilia– you and your customers, then and now. Have plenty of business cards printed and on hand for passing out. Create a list of all outside vendors, speakers/special attendees and caterers. Begin checking with them the week or so before your event to make sure they’re confirmed and ready to go. Even if the event itself doesn’t have a set schedule, prepare a day-of-event checklist. This will be useful because it can help keep you on track with giveaways, announcing break-out sessions and introducing speakers. Keeping attendees engaged and interested is a sure way to make your event memorable. Tour the facility – host mini-seminars during the day. Conduct break-out sessions on topics of interest to your attendees. Arrange for a special speaker or local personalities to attend your event. Use a specially-designated spot as “the photo area” and post photos on social media and your company blog. Hire an emcee to host the event, provide some music and announce activities. Let’s say you or someone else is asked to plan another company event. It’s always easier the next time around when a record of successful event planning tips already exists and is easily accessible. Keep any notes you have on planning and creative ideas; contracts, samples of publicity, photos and news releases. Consider keeping samples of any specially-printed giveaways for future reference. 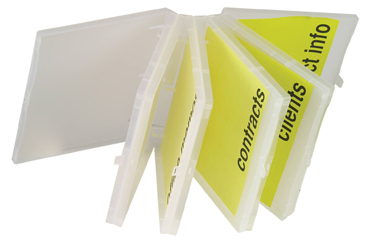 Proper archiving requires a binder that stands up to frequent use, holds what it should, and still has room to grow with the addition of page dividers, pocketed pages and sheet protectors. The UniKeep three-ring case binder is perfect for larger projects that require extra space for document storage. Tip: For an even larger binder, try a UniKeep multi-compartment binder. This case-style binder is like having several binders in one. It contains as many as four inside compartments, each with its own storage capacity. Each compartment is separate and snaps closed so you can access the document you need without cluttering up anything else. PackZen products can be customized or privately labeled and are used by small and large companies alike. We can combine your ideas with our developmental expertise to create a product that is distinctly your own. Call today 877-749-2127.